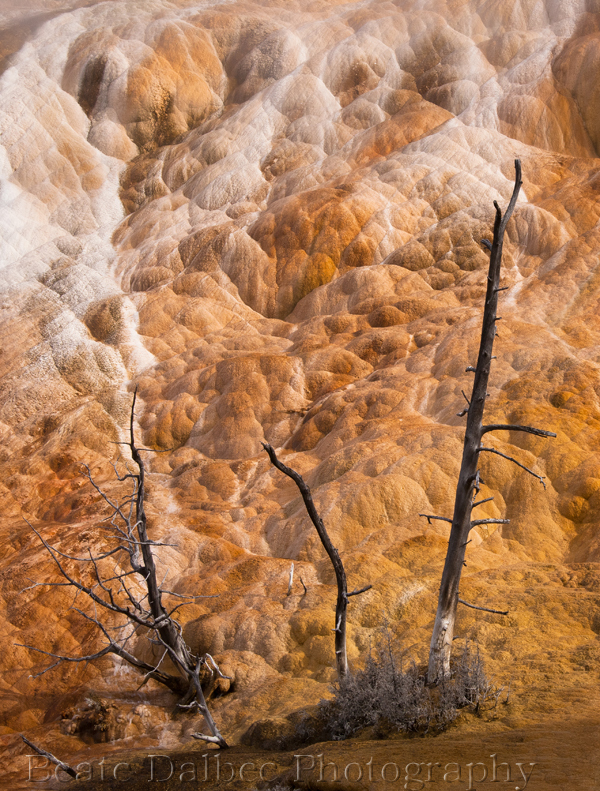 Yellowstone is constantly changing. This became very evident to me at Mammoth hot springs. I had been there once before – 27 years ago – but still remembered the beautiful Minerva terrace. 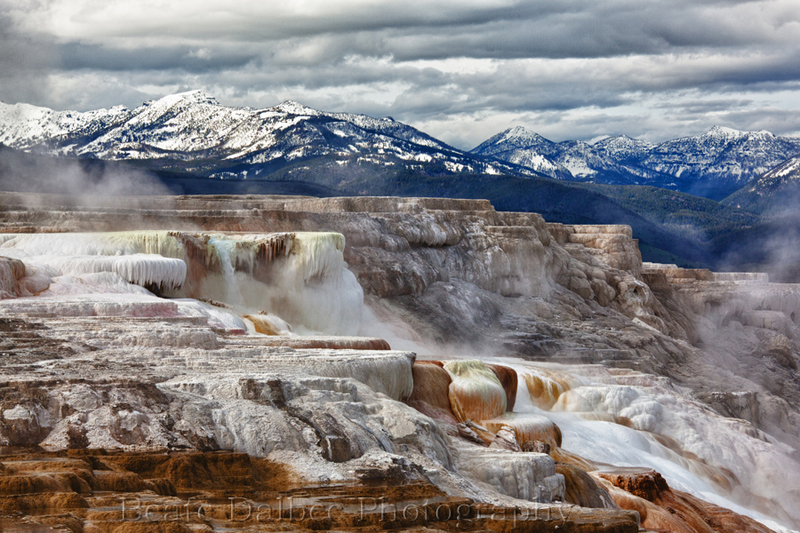 White terraces with blue water. It looked so beautiful and I was very much looking forward to photographing it. So you can imagine my surprise when instead I just saw grey rock! As it was explained on a sign, Yellowstone is always changing, springs dry up and might resurface at a later time, and new ones emerge. The image below is from one of these new sections. It started to form only 5 years ago and has since overtaken trees and a boardwalk. It’s not the Minerva terrace, but the colors were beautiful.